THERE ARE AT least around 40,000 people in Ireland who are problem gamblers, according to data published today. 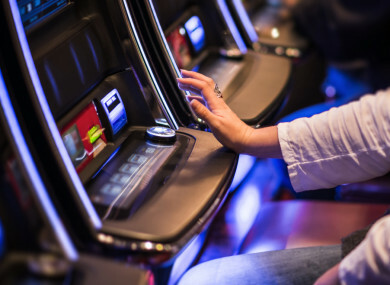 This figure of 0.8% of the population classed as problem gamblers contrasts with recent research from Northern Ireland which found 2.3% of the population there are problem gamblers, with the opposition claiming this new data is “flawed”. The government, however, has said that further research in the next 12 months will “greatly aid” its understanding of issues around gambling in Ireland. The long-awaited Bulletin 7 – showing results specifically related to gambling from the 2014/15 Drug Prevalence Survey – says that almost two in every three people gambled in some way in the past year, including buying lotto tickets, betting in a bookmakers, or online. It came from a collaborative project between bodies in Ireland and Northern Ireland, and fieldwork for this survey was carried out by Ipsos MRBI in Ireland. According to the stats, it is young men who are most likely to problem gamblers, with this figure calculated using a scale based on research from the American Psychiatric Association. It says that 1.9% of men aged 18-24 and 2.9% aged 25-34 are classed as problem gamblers under this scale. This contrasts with 0.2% of women in those age groups, respectively. Of the people who said they had gambled on sports events in a bookmakers in the past year, for example, 2% said they did so every day, 8.8% said they 2-6 times per week and 14% did so once a week. The most common thing people bet on are lottery tickets and scratch cards, with 56.7% having done so in the past year, with 35.4% doing so monthly. Online gambling – listed alongside gambling by telephone – is most common for young men with 12.7% of 18-24 year olds and 15.6% of 25-34 year olds gambling in this way in the past year. Sinn Féin’s Louise O’Reilly said that this data should not be used as an accurate basis for future policy formation. “We have waited years for the eventual publication of this report and its arrival is far from satisfactory, I consider it to be flawed, dated, at variance with new evidence and anecdotal evidence and cannot be used in good faith as an accurate basis for policy formation,” she said. Is the government honestly saying that the problem gambling rate in Dundalk is 0.8%, but the problem gambling rate in Newry is 2.3%? … The south of Ireland has the highest online gambling losses in the world per capita and the third highest gambling losses overall per capita and Fine Gael want us to believe it is not a problem. Minister of State at the Department of Justice David Stanton said he would shortly bring to government for its approval the report of a working group which has been reviewing the Gambling Control Bill 2013, which has yet to be enacted by government. He said: “The Working Group’s report will address the issues of introducing a modern licensing approach to all gambling activities, including advertising, establishing an independent regulatory authority, and enhancing protection of consumers and vulnerable persons. The figures released today show that a high proportion of the population is involved to some extent in gambling and highlights the need for regulation and protective measures. Email “There are at least 40,000 problem gamblers in Ireland”. Feedback on “There are at least 40,000 problem gamblers in Ireland”.